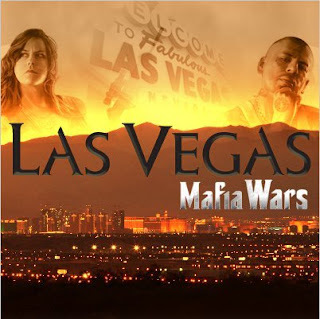 If you’re on Facebook or MySpace, then you’re probably familiar with a little game called Mafia Wars. Or maybe you know one of its less violent sister games like Farmville, YoVille or Café World. 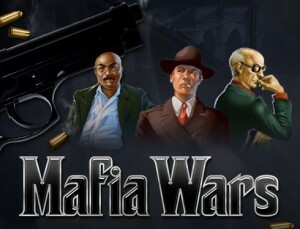 Mafia Wars is a click game that was conceived by the diabolically brilliant minds at Zynga Games. It takes you through various jobs and fights and locations as you gain power in the underworld. So what made me finally say enough was enough? Easy. The game itself. Several months before I finally stopped, I woke up to the fact that I wasn’t enjoying the game as much, but I figured they were adding new features so it was bound to get better. Bangkok had been disappointing because, while it offered some new features, it was really expensive and took a long time to finish. Each time a new city was added I would jump on it, and I was really excited when they announced they were adding Las Vegas. It was supposed to be completely different from the previous cities. Zynga promised a completely different experience and in that sense, they delivered. Las Vegas was a welcomed change. The images were gorgeous, the set up was different and for the first time in a long while, I was having fun with game again. At least I was until I got to the boss fights on the last level of each stage. One of the goals of Mafia Wars is to work together with your friends to conquer the cities. It’s a great idea. It lets you socialize with your people and maybe make new friends. 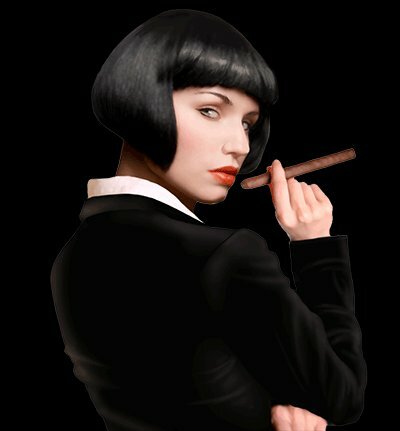 There are forums and groups dedicated to finding new members for your mafia. However, for someone like me, who didn’t want to go trolling the boards for strangers, Las Vegas became a huge problem. In the new version, when you got to level four of each level's final boss fight, if you didn’t have many people helping you, you couldn’t advance. There are tricks you can do to help yourself, but Zynga took that into account, and made those bosses regenerate health after a few minutes. So not only did you have to have people helping you, but you had to receive help immediately. Where’s the fun in that? That’s what made me snap. Here I was, a reasonably powerful player, and I couldn’t finish the damn level because I didn’t have enough people to help me. Not to mention, in my desire to beat the stupid game, I went on a small spending binge to try and get more powerful. Nothing worked. I didn’t know what to do. I wasn’t happy in the game, but I couldn’t bring myself to quit; I'd spent three or four years building up my mafia. But I wanted to. I really did. Then a tiny miracle appeared in the form of New York Comic Con. I tried to keep up with it, but I was so busy during the day and without my computer, then so exhausted at night, I just didn’t have the energy to play. It was a weird time. I felt the lure of the game. I wanted to play so badly, but I knew if I was ever going to quit, now was the time because I wasn’t going to be that busy any other time in the near future. So I stayed away. The days after NYCC were the worst. I was going through Con and Mafia Wars withdrawal. It might sound odd talking about it like an addiction, but that’s what it felt like. I craved the game. Every time a friend requested help or sent me a gift, I wanted to respond, but I knew if I did, I’d be sucked back in. I tried playing a few of the other click games I liked to take the edge off, but that just made things worse. I started getting extra obsessive about them. Finally, after a couple of weeks, I hid all Mafia Wars posts from my wall. I told my friends I was slowly leaving the game, but I wanted to try and help out a few people before I went, as long as it was under supervision. I didn’t trust myself. I never got around to helping anyone out, but recently, I felt like I could handle going back into the game to give out some of my loot. I’ll admit I fell off the wagon and played a little in Bangkok. I really did want to finish it, and it was gnawing at me, so I spent a few days finishing level one. I don't know why this was bothering me so much, but I didn't feel like I could completely leave the game unless I completed it. While I was playing, I started to feel those same obsessive twinges again and I didn’t like it. I could have easily just gone nuts again, but I didn't, and as soon as I finished level one I deleted my account. I would be lying if I said I didn't ever want to play again. I still do. I miss sending gifts to my friends and helping them out. I miss leveling and getting cool loot, but there are a lot of things I don't, such as having a very cluttered wall or cluttering up my non-playing friends' walls with help requests or feeling the pressure to complete the limited missions. But you know what I really don't miss? The pressure for keep leveling or finish the various cities as quickly as possible. The fact is the biggest feeling I felt when I deleted the account was relief. I felt like I could breathe a little easier, and I wouldn't trade that for anything. Now I just need to find a way to channel all that pent up "gaming" energy. Anyone want to get me a console?